The innovative body care products of the PERFORMANCE LlNE is result driven. It treats skin problems, such as, extremely dry skin or unpleasant dimples on the buttocks and thighs. 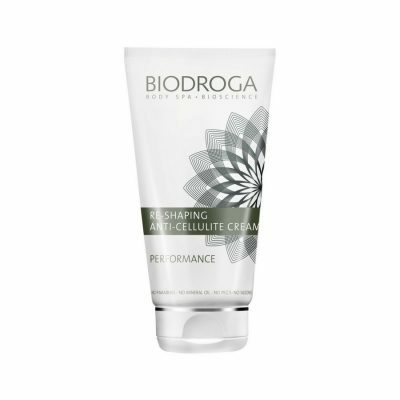 The BIODROGA BODY SPA PERFORMANCE line offers a wide range of products with ingredients specially tailored to an efficient conditioning and improvement of these zones. FREE of parabens, mineral oils, silicones and PEGs. Not tested on animals. Dermatologically driven.